The rivalry between North Geelong Warriors and Werribee gets to write another page in the history books as the battle lines are drawn ahead of the penultimate round in Victoria’s NPL2 competition. Werribee will look to upset the Warriors’ run into a possible promotion chance and will be full of confidence after a couple of comprehensive wins on the trot. Whenever these two sides meet there is always a strong passion on display and the same is expected this week. Fresh on Werribee’s mind will be the round 13 match where the side was unlucky to not take a point away, going down 1-0 at Elcho Park in a physical and exciting contest. North Geelong will set up with a couple of handy inclusions this week. Leading scorer Darius Madison is available after serving a one week suspension and in-form midfielder Ryan Opperman returns after a coming down with a virus last week. Adding to the positive news is the Warriors’ performance last week. After facing a dominant 30-minutes from a high-energy Sunshine George Cross, which took the lead, the Warriors steadied and regained ascendancy to finish strongly. 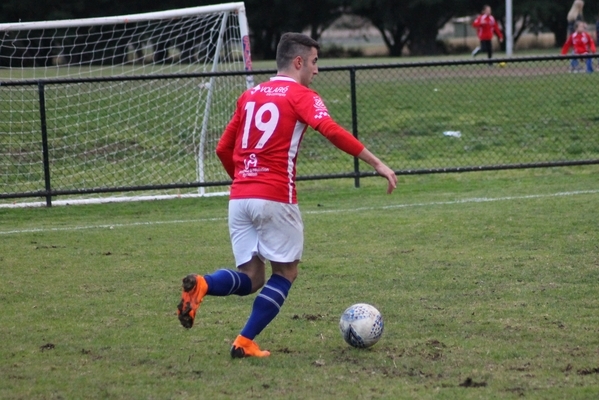 The North Geelong win came on the back of strong performances from Andrew Scicluna, who scored his first goal for the club, and the emerging Jamie Noggler adding another goal to his season tally. Heading into the crucial contest with Werribee, coach James Coutts will have some big decisions to make at the selection table to determine the right mix for such a big occasion. Adding to the selection mix was the bright display from young 20-year old Stefan Papageorgiou, the mid-season signing providing a lot of energy and drive in one-on-one contests after coming on with 30 minutes to go. In under-20 action, the Warriors went down 2-1, ending a six-match unbeaten streak. The goal came courtesy of Ben Tucak. Action gets underway at Galvin Park Werribee from 12:45 pm Sunday.